Top riders will compete during this high-calibre motocross event in Montreal next September. 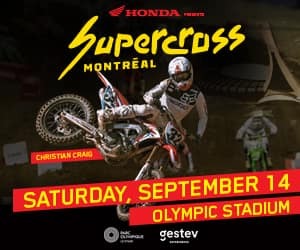 2018 Supercross Montreal Champion, Malcolm Stewart, a Honda talented pilot, will make his big return on the scene at Olympic Stadium to defend his title. After a promising season start, Stewart suffered an injury that sidelined him for the remaining supercross season in the United States.  This Montreal event, featuring 250- and 450---classraces, is a special edition that will kick off this season’s tour on top of the three regular events in the series. Points earned in Montreal will count toward overall series rankings. Battling it out in the 450 class will be four North American riders recruited by expert motocross consultant Eric Peronnard, as well as Triple Crown Series riders invited by Jetwerx. “We’re stoked to announce that four big names are already confirmed as event headliners. In addition to Honda rider Malcolm Stewart three of the top US riders, Honda rider Christian Craig,Justin Brayton and Dean Wilson will compete on the Olympic Stadium race track,” said motocross event consultant Eric Peronnard. “As racing is core to Honda’s DNA, we’re delighted to be Presenting Sponsor of the highly-anticipated Supercross Montreal event for the second year in a row. We have a strong lineup of off-road products suited for all riders and we’re excited to see them flying high in Montreal,” said James Marchand, Assistant Vice President of Motorcycle and Power Equipment Division, Honda Canada Inc.
Tickets go on sale this Friday, April 5th at 10 a.m. at supercrossmtl.com and ticketpro.ca. Prices start at $43 (including taxes and services fees). New child price ticket has been created at $34,50. Ultimate fans will have the opportunity to buy the Super Pass at only $19,50. The pass allows fans to get access to the qualifying sessions and final heat of the amateur riders, Pro250cc and 450cc practices and qualifying sessions, the professional rider’s pit area and the Exhibit Hall. Ticketpro newsletter subscribers and fans on the Supercross Mtl Facebook event page can get access to a Two-day presale starting on Wednesday, April 3rd at 10 AM. Founded in 1992, Gestev is a dynamic event management company specializing in happenings that make their mark locally as well as on the world stage. Over the years, Gestev has raised event management and production standards by adding a party twist to high-calibre sporting events, including music shows and live entertainment, while making competitions accessible to all. Jamboree, Red Bull Crashed Ice, Vélirium, Ski Tour Canada and Transat Québec Saint-Malo are just a few of the major events organized by Gestev, which also manages the Baie de Beauport recreational site. Honda Canada Inc. is the sole distributor of Honda motorcycles, scooters, ATVs and Side-by-Sides in Canada. Honda Canada’s Motorcycle Division conducts the sales, marketing and operational activities for these products through independent authorized Honda retail dealers across the country. For more information on Honda products, go to https://motorcycle.honda.ca/.